This is the 11th installment in a series by Virginia Cornwell, a Columbus Ohio Divorce Attorney and Ohio State Bar Association Certified Family Relations Specialist. Virginia is one of approximate 100 attorneys in Ohio to have received this honor. 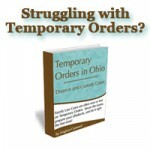 This article is about the process and options for ending your marriage in Ohio, and about Ohio divorce laws. Jurisdiction is a complicated issue. Actually, it’s a whole bunch of issues all jumbled together. There is personal jurisdiction, subject matter jurisdiction, and then there is in rem jurisdiction. If that weren’t complicated enough, there’s also a similar issued called venue. Before you determine Venue, you have to figure out the proper jurisdiction. Whether one or both spouses live in Ohio, and how long they have lived there? Which Ohio County each spouse lives in, and how long have they lived there? If one or both spouses are are absent from Ohio but still have contacts with Ohio, what is the nature and extent of your contacts? Whether you want the court to make orders regarding support, real property or personal property, or just to grant a divorce? Do you want a divorce, dissolution, annulment or legal separation? In Rem is a latin term. When used in the divorce context, it refers to the court’s jurisdiction over the marital status. So a court may have in rem jurisdiction to grant a divorce, but no personal jurisdiction over one of the parties, their money and their property, and/or no subject matter jurisdiction over the parties’ children. In that case, the court could ONLY make orders that the parties are divorced. Everything else (child support, spousal support, custody, property division, etc.) would remain in as it is, with no orders until somebody files something to get those orders in the proper jurisdiction. Why would you want to file a divorce in a court that can only end the marriage and not make any orders regarding child support, custody and property? Actually, there are lots of reasons. The first and most obvious would be that a person wants a divorce and does not know where their spouse is. If you have LOOKED for your spouse (yes, that means contacting the inlaws if you have their phone number or e-mail), tried several methods to find them and been unsuccessful, you can serve your spouse with divorce papers by publication in the newspaper. You will have to file an affidavit with the court telling them all the methods you used to try to locate your spouse, and what the results were. Once publication is completed, this is “good service” but ONLY for ending the marriage. Another reason would be that you and your spouse don’t have any money, property or children to divide, so ending the marriage is the only thing you care about. A third reason would be that even though you DO have money, property or children with your spouse, you have tried your best to serve your spouse through other methods (mail, sheriff, process server), and you have not been able to do so. If you are not sure that you have your spouse’s correct address, you MAY be able to serve your spouse by publication and go forward with the divorce.